The rolling woodlands and quiet waters of A.W. Marion State Park offer visitors a welcome escape from the rigors of everyday life. This small but unique park offers a variety of recreational activities while maintaining a quiet atmosphere of natural serenity. In the fall, the mature woodlands offer excellent squirrel hunting in designated areas. Limitless opportunities abound within a short distance of the park. A monument marking the location of the Logan Elm, where Chief Logan delivered his eloquent speech can be reached south of Circleville, one mile east of U.S. 23 on State Route 361. 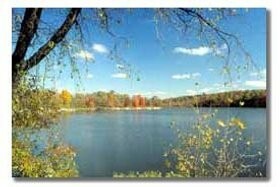 Two state nature preserves operated by the ODNR Division of Natural Areas and Preserves are located near the park: Shallenberger Preserve, east of the park off State Route 22, and Stage’s Pond, north of the park on Haggerty Road. 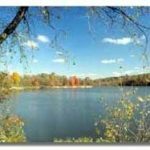 Deer Creek State Park is also located in Pickaway County and offers camping, fishing, boating and picnicking. Near Marcy, Ohio, off State Route 674, visitors can catch a glimpse of 1880 farm life by traveling to Slate Run Living Historical Farm. Horse-drawn machinery, woodstove cooking, canning and milking are a few of the activities that can be enjoyed. Traveling south on State Route 159, one can witness the life story of the great Shawnee Chief, Tecumseh. This outdoor drama is enacted from Memorial Day to Labor Day at the Sugarloaf Mountain Amphitheater. Adena State Memorial, the restored home of Thomas Worthington is one of The Ohio Historical Society’s premier sites. It includes Worthington’s newly-restored 1807 mansion and a 13,000 square foot Museum/Visitor Center.